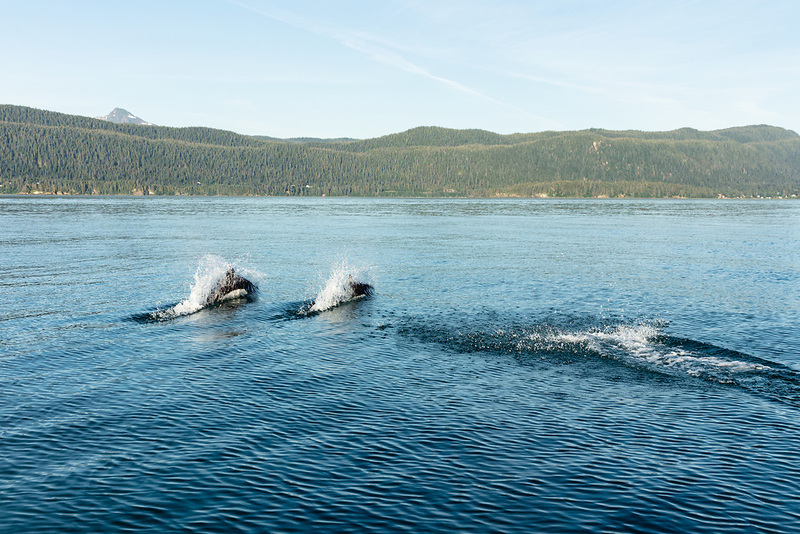 Dall's Porpoises (Phocoenoides dalli) surfacing in Favorite Channel in Southeast Alaska. Summer. Evening.